Help the Altrusa Club of Greater Birmingham support the Oakland Literacy Council! 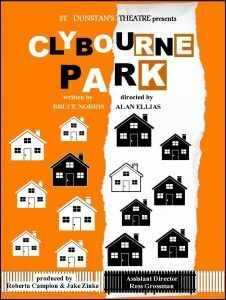 A portion of each ticket sale of this special performance of Clybourne Park will benefit OLC. Seating is assigned as checks are received. A razor-sharp satire about the politics of race. Winner of both the Pulitzer Prize and the Tony Award for Best Play, Clybourne Park is a razor-sharp satire about the politics of race. Act One takes place in 1959, as white community leaders anxiously try to stop the sale of a home to a black family. Act Two is set in the same house in the present day, as the now predominantly African-American neighborhood battles to hold its ground in the face of gentrification.